The Sky-Watcher Maksutov-Cassegrains are the ultimate take-anywhere telescopes. They are also ideal if working space is limited. Despite their small dimensions, they pack a powerful punch. Their High-Resolution, diffraction-limited optical systems are multi-coated to maximize contrast and image sharpness. 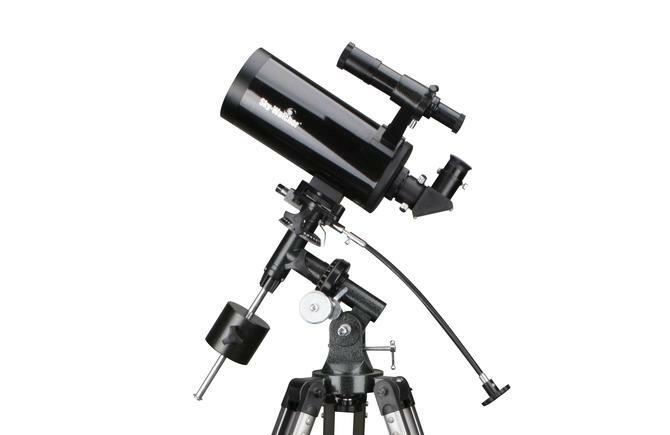 The Sky-Watcher Maksutovs come in apertures of 102mm and is available either complete with equatorial mounts and tripods or as tube assemblies only, which can be mounted on a standard photographic tripod. Whether your requirement is for terrestrial or astronomical use, these compact scopes are the perfect companion.